Pizza Express in Russia Row focuses on 4 simple things. Beautiful music. Stunning design. Unique experiences. Exceptional food. 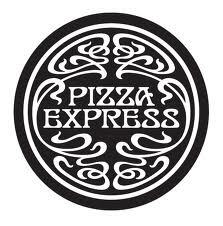 Pizza Express are offering privilege card holders 20% off on food from Monday to Thursday. Also, between Monday and Friday you can order a £7.95 meal from 15:00 pm to 17:00 pm (which includes a Classic Pizza margarita or La Reine or Padana or salad Nicoise with garlic Bread or Dough balls ). Both offers are not available in conjunction with any other promotions, including Tesco vouchers) . Just show your card on arrival or mention when making a booking over the phone.